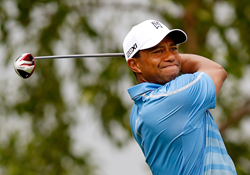 Kevin Pauza MD, a spine specialist who focuses on treating patients like Tiger Woods, said: “I wish Woods a full recovery, but unless he changes course there’s little reason to feel optimistic about his recovery. This is based on facts associated with patients who have suffered with a failed spine surgery, and not personally evaluating Tiger Woods." For the past 12 years, Kevin Pauza has focused on helping patients who previously had a failed spine surgery. Dr. Pauza continues to state that the underlying premise of surgical discectomies to treat low back pain may be flawed, as current outcomes show. To help solve this dilemma, Dr. Pauza’s research focuses on the re-growing of bulged, herniated, and degenerated discs. “Disc tears lead towards bulges and degeneration, so they should be healed and sealed, instead of routinely cut,” Pauza said. “Unfortunately, some spine surgeons still believe pinched nerves alone cause pain. However, today we know that pinched nerves are not the primary cause of low back pain. Instead the pain is primarily caused by leaky disc and nerve inflammation. When a disc’s outer portion tears, this causes its nucleus pulposus, the jelly-like inner substance to leak. This leaked substance causes inflammation in the disc and spinal leg nerves, resulting in low back and leg pain. This is why surgery can’t predictably relieve pain. Today’s current high numbers of spine re-operations attests to this fact. Furthermore, many patients are next directed towards more costly surgical fusions, and unfortunately fusions cause degeneration of adjacent discs, a problem called the domino effect. Dr. Pauza said, “The number of Americans undergoing back surgery without obtaining relief increased exponentially last year. As Tiger Woods doesn’t seem to be showing improvement, along with millions of others, this problem shouldn’t be ignored, and surgery that’s ‘par for the course’ needs to be reconsidered." “Doctors are injuring discs further with scalpels and laser procedures, when we should attempt to re-grow the damage and degenerated disc” Pauza believes. “The medical community of spine surgeons should be better informing their patients before recommending a costly and debilitating spinal fusion." Dr. Kevin Pauza was a Founding Partner of Texas Spine and Joint Hospital. Pauza recognized that fusions are occasionally the only option left, yet often lead to repeat surgeries. Therefore, Pauza joined experts to research and practice at the future New York City Spine and Joint Institute; a Center for Regenerative Medicine. Recently Dr. Pauza was awarded 18 patents in disc biologics, and his work was awarded by the North American Spine Society as Outstanding Study of the Year.